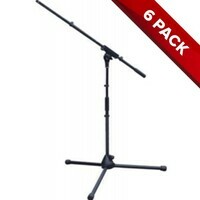 Box of 6x (Six) SWAMP low height microphone stand with boom. Box of 6x (Six) SWAMP low height microphone stand with boom. 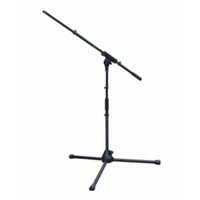 This is a sturdy, well made professional mic stand that can extend to a maximum height of 190cm (with the boom fully extended and pointing directly up), and has a minimum height of 70cm (with the boom fully lowered and pointed directly up. 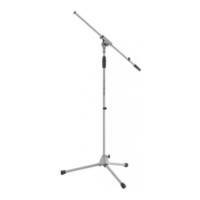 Features a telescoping boom with a minimum length of 55cm and maximum of 76cm. 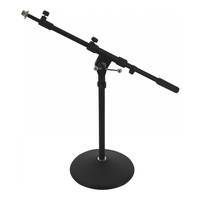 Making this stand suitable for micing drums, amps and acoustic instruments. 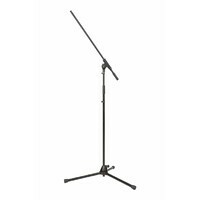 At the near maximum height this stand is also suitable for shorter vocalists. Fully adjustable base height, boom length and angle formations. 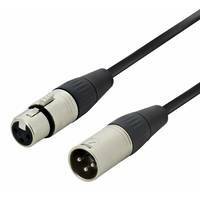 Reasonable Quality for the price, if you set them right and treat them nicely, they stay put. Computer, Sofware (aka DAW), audio interface, mic and hhpoaednes. That's all you need to get some pro recordings.If you want to do some pitch correction download Celemony Melodine demo. 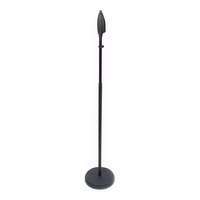 Excellent small mic stands - perfect for use with close mics on drums and guitars. They are very sturdy and do not droop with time.